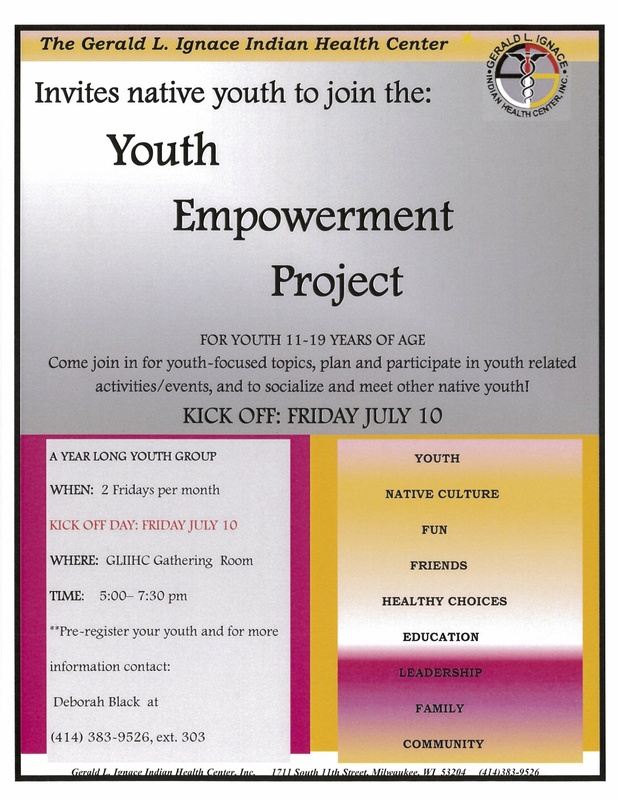 The Gerald L. Ignace Indian Health Center, Inc. (GLIIHC) is excited to announce the start-up of a native youth group entitled the Youth Empowerment Project (YEP). This new project will provide a unique opportunity for native youth, 11-19 years of age, to join together for fun, culture, education, leadership skills, and community involvement. Our native youth are the leaders of tomorrow, and GLIIHC is committed to promoting the health, safety and wellbeing of the American Indian youth in the Greater Milwaukee Area. We invite youth and parents to take part in this youth group that will work to empower our youth in health, wellness, and success. When: The YEP will be an ongoing group that runs all year long. 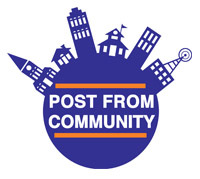 The youth group will meet two Friday evenings of every month to join in discussions on youth focused topics, plan and participate in youth related activities/events, and to socialize and form connections with native youth involved in the project. Other Summer Dates: Friday, July 24; Friday, August 7; Friday August 28. Fall dates to be determined. The YEP will be led by Deborah Black, Behavioral Health Counselor in the All Nations Wellness Center Department of Behavioral Health. About Gerald L. Ignace Indian Health Center, Inc.